Home > Blog > Trek – Drops Cycling: professionalism, ambition and a lot of colour. Trek – Drops Cycling: professionalism, ambition and a lot of colour. Women’s cycling is growing at all levels and more and more teams are reaching the highest level an elite sports level. One of them is Trek-Drops, the women’s team with British roots that is pedalling half the world’s roads. 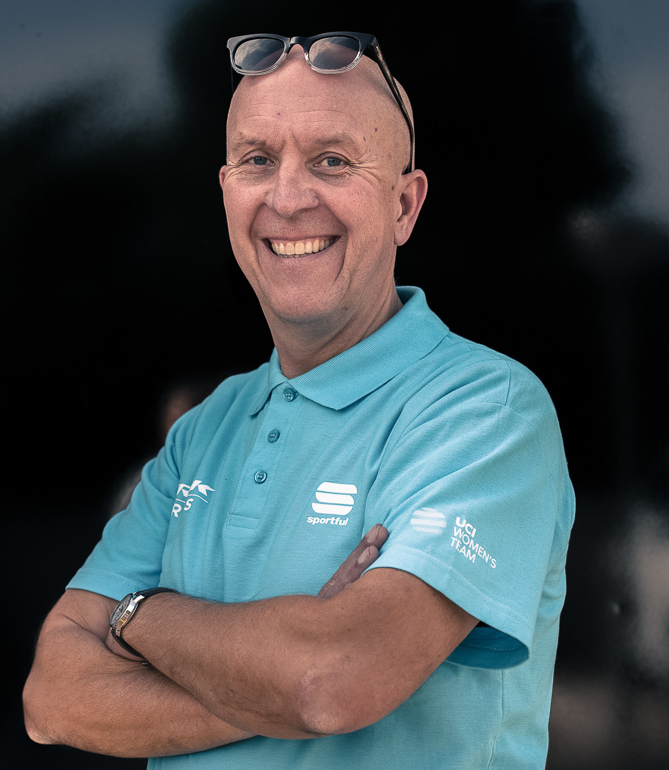 Taking advantage of their training camp at Cambrils Park Sport Village, we have interviewed Bob Varney, Trek- Drops Cycling’s founder and director.. Energetic and charismatic, Bob transmits his passion for the two tires and how proud he is of the team he leads. It is not surprising as it was founded in 2016 and nowadays is one of the 20 best teams in the UCI Women’s worldwide ranking. “We are barely celebrating our third year of life and the truth is that it has been a meteoric rise. Last year we reached the 11th position in the ranking starting from the initial position and our goal is to be in the top 5 by 2020”. 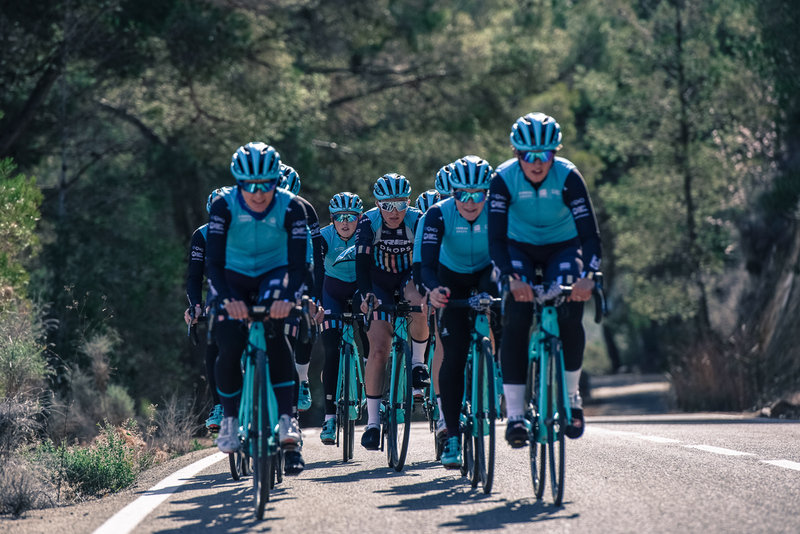 Nowadays, the team consists of 13 cyclists from 4 different countries. And all have something in common: the desire of bettering themselves day after day. We ask Varney what the secret of the success is, and he doesn’t hesitate: “Several things are needed to be successful, but if I had to highlight one it would be: hard work. It is something necessary in cycling and in any other discipline or business. And at Trek-Drops we work very hard”. It is not a team that goes unnoticed. All its equipment, bicycles included, have a fresh and vibrant colour named “Miami Green” created by Trek USA. Thus, their slogan and social media hashtag, #ColourTheRoad, is a declaration of intentions. Maybe, leading a young millennials team implies taking image, design and social media usage seriously. You only need to glance at the Trek-Drops social media to check how good they are doing it. Even though women’s cycling is booming, the truth is that it still has less visibility than men’s professional cycling. We didn’t want to say goodbye to Bob Varney without knowing his point of view on the matter: “The passion that cyclist put on work and on their professional career, is very special. And that is, I think, the reason women’s sport in general will keep growing exponentially in the coming years”. J'ai lu et j'accepte les conditions légales et la politique de confidentialité de ce site.